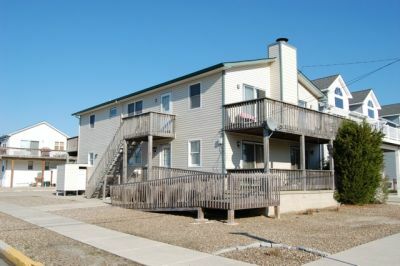 245-39th St. (Unit 2nd fl), Sea Isle City, NJ - Farina & Boeshe Real Estate Co.
UTILITIES ARE INCLUDED for this Sea Isle City 4 bedroom 2 bath property is nicely furnished and just remodeled with granite, appliances, cabinets, hardwood and tile floors. This home sleeps 8 with 2 queen beds and 4 singles. There are 5 flat panel TVs, one in the living room and one in each bedroom. Two open decks, parking for 4 cars and within walking distance to everything. This is a great seasonal rental for a family or an older responsible group with references. Please take note this property is up for weekly rentals for the second half. The owner prefers two week minimum. This is a non smoking, no pets unit. No grills per Condo Association Documents.